What Does Code P0093 Mean? 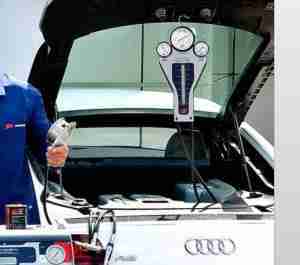 As you know, the internal combustion engine does not burn liquid fuel, but fuel vapors. To extract the most power out of each drop of fuel, it needs to be sufficiently vaporized inside the engine, so it can be ignited. 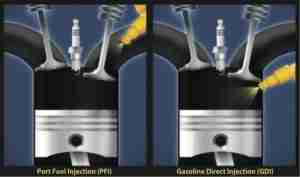 To achieve sufficient fuel vaporization, most port fuel injection systems work at moderate pressures, 35-75 psi. The pressure and spray, in combination with high intake and cylinder temperatures, helps the fuel to vaporize even better, for better power output and fuel economy. 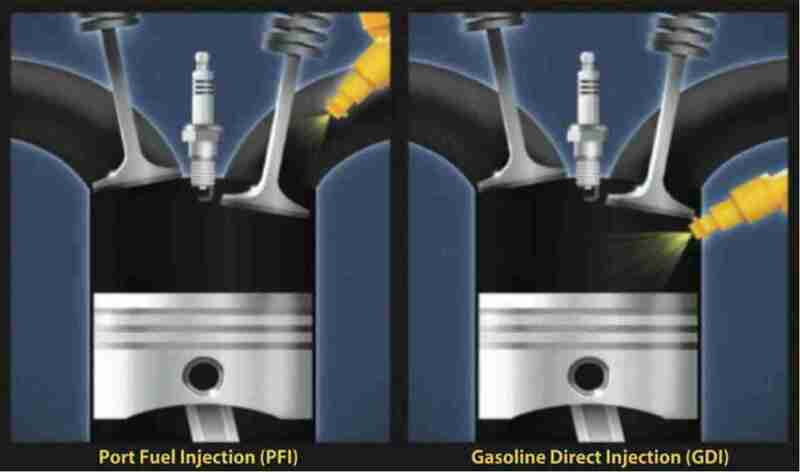 Diesel engines and some modern gasoline engines use a different form of fuel injection, injecting fuel directly into the cylinder. Because the fuel is injected in the compression stroke when cylinder pressure is approaching maximum, the fuel injectors need to run at much higher pressures. An electric fuel pump, mounted in or near the fuel tank, supplies fuel to a mechanical fuel pump, usually mounted directly to the engine. 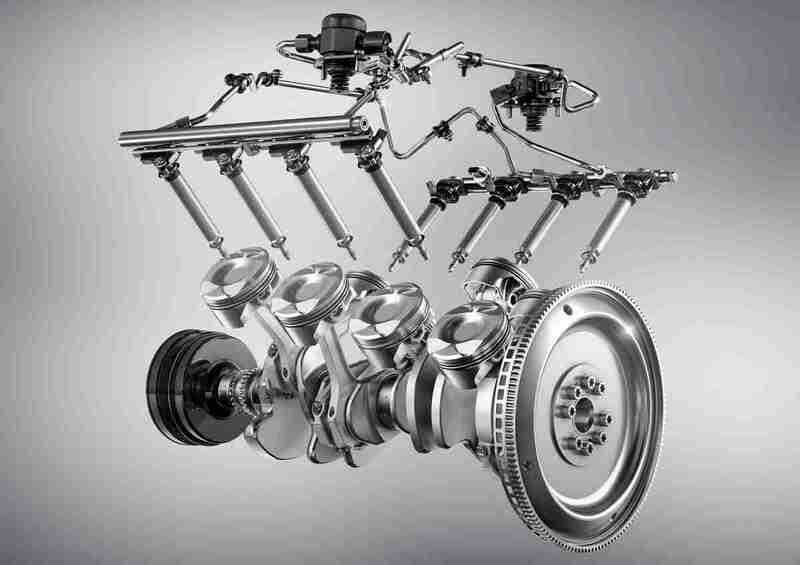 The mechanical pump boosts the pressure for the direct injection system. Most gasoline direct injection (GDI) systems run up to 2,500 psi, and most diesel injection systems run over 4,000 psi. To properly meter fuel injection, the engine control module (ECM) closely monitors and modulates the high pressure system, even between injector pulses. If the ECM detects an unexpected drop in pressure in the high-pressure side of the fuel system, anywhere between the mechanical fuel pump and the fuel injectors, it will set a diagnostic trouble code (DTC), P0093 “Fuel System Leak Detected – Large Leak,” and illuminate the check engine light (CEL). What are the common causes of code P0093 ? Depending on year, make, and model, DTC P0093 may have number of causes, but this is the most common. 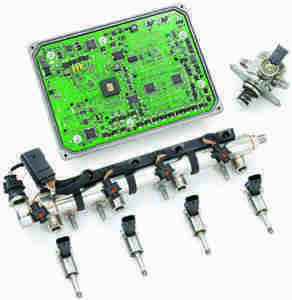 Faulty Fuel Injector – High-Pressure Fuel Injectors can fail in a number of ways, electrically or mechanically. A sluggish injector will not react as fast as the FID commands, injecting more fuel than expected by the ECM. If the fuel injector is stuck open, perhaps due to contamination or damage, fuel will constantly leak from the injector, leading to an unexpected drop in fuel pressure. What are the symptoms of code P0093 ? Depending on the nature of the failure, you may notice various problems with your vehicle. You may experience hard starting or no starting. Depending on the failure mode, you may notice a decrease in engine performance, and some ECMs might give you a short period of time to get off the road before killing the engine. Under the hood, if there is an external leak, you may see or smell a fuel leak. If the pressure problem is internal, you may see nothing out of the ordinary. You will probably notice a marked drop in fuel economy. How do you troubleshoot code P0093 ? Caution: The high pressure fuel system can be dangerous to work on. In industry, for example, waterjets are used to cut through stainless steel and stone, so your finger would present no problems for the high pressure direct injection system on your car. That being said, any diagnosis or repair usually starts with depressurizing the system. Refer to the repair manual for the proper procedure for your vehicle. Before attempting any repairs, be sure to check with the automaker for warranty status, TSBs (technical service bulletins), and recalls. Chances are good that any issues, aside from obvious damage or negligence, may be covered by one or more of these consumer protections. Additionally, non-factory scan tools may not be able to perform some of the active tests required to properly diagnose the system. Still, there are some things that you can check. Check fuel level. This should be obvious, but it is often overlooked, and some ECMs aren’t “smart enough” to know that if there is no fuel in the tank, it can’t pressurize the system. Fill the fuel tank. Check all connectors and wire harnesses. Make sure connectors are fully engaged, no bent or backed-out pins or corrosion. Adjust or repair as necessary. Check low-pressure fuel pump operation. Check for fuel leaks. Again, if the low-pressure fuel pump isn’t supplying fuel, the high-pressure mechanical fuel pump has nothing to work with. If there are fluctuations, fuel pump dropping out, for example, you may end up with pressure problems on the high end. A clogged fuel filter can cause similar problems. Repair as necessary. Check all connectors and wire harnesses. Make sure connectors are fully engaged, with no bent or backed-out pins or corrosion. Check the wire harness for damage. Adjust or repair as necessary. Fuel Injector Driver (FID). If the FID or a fuel injector has been replaced, the FID needs to run the relearning program, which tunes it to your high-pressure pump and fuel injectors. Check for fuel leaks. Look for fuel residue or liquid fuel. Liquid fuel is an obvious sign of a leak, but residue may or may not be an indicator. Check the oil level. If the oil level is higher than normal and smells like fuel, suspect a leaking fuel injector. At the same time, you may have concurrent fuel trim or misfire DTCs. Concurrent DTCs – If you are unable to find any problems with the high-pressure fuel system, and you have other DTCs related to the fuel system, diagnose and repair those before coming back to P0093. Note: Testing fuel pressure might seem the obvious diagnostic step in this situation, but the problem is that most vehicles with direct injection systems do not have fuel pressure testing ports, not even on the low side. Most pressure testing diagnosis is done with a scan tool with live data streaming capabilities. Pressure testers are indeed available, but these require tapping into the fuel system, which may cause more problems than they solve. As mentioned, repairing anything in the high-pressure fuel system must be approached with caution. High-pressure fuel systems rely on precisely machined surfaces and tight tolerances for leak-free operation. Installing a stainless steel fuel line, for example, you would not want to scratch the sealing surface or bend the line, as doing do would compromise the seating and sealing of the connection. Proper torque is critical, and may require a special tool to ensure proper sealing. 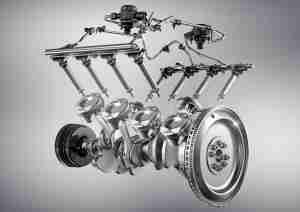 New 5.5-liter AMG V8 engine with AMG Cylinder Management and ECO stop/start. good day i have my 2011 ford ranger 2.5 tdci already change injector and fuel regulator. still problem re occur P0093 fuel system large leak, anyone can help please?